Our Gaming room features 40 of the latest gaming machines, Keno terminal, and link jackpots including four of the latest Lightning Link Machines, plus old favourite Jackpot Carnival across several machines - there are plenty of options to play and all machines accept Monty's card. We have Ticket in Ticket Out system operation on our machines allowing you to move quickly and easily between machines. We have several screen to watch your Keno numbers come up and play along with your friends so you'll never miss a game. Kids - Outdoor, Playstation's etc. 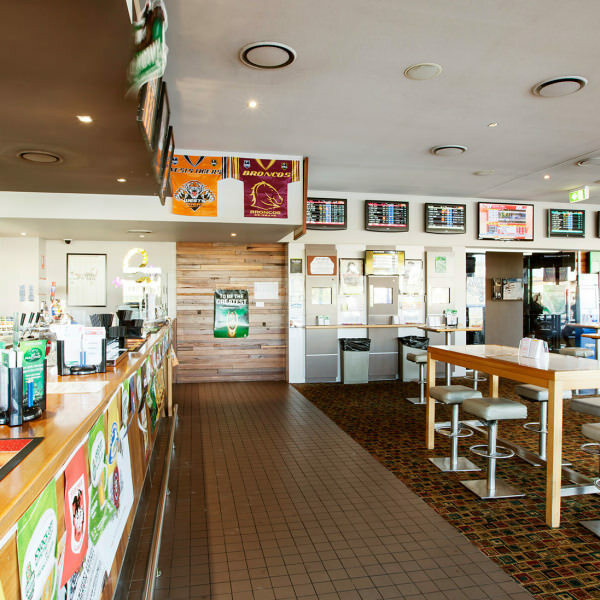 Our Courtesy Bus pick up and drop off service runs by appointment from the Pelican Waters hotel. This service is free to our patrons and is available whether patrons wish to come to the hotel for a meal or to enjoy our live entertainment. Bookings are required to access this service.